Emory University has embarked on the next phase of a strategic planning process designed to align the university’s strengths and opportunities in advancing its vision and mission for the next decade. This phase follows and builds upon more than 18 months of town halls and listening sessions with university-wide and community stakeholders. This phase will chart the course of the university, producing a plan that will include specific, actionable and measurable goals. McBride, executive vice president for academic affairs, is driving the next critical stage of the planning process, which will refine the university’s strategic pillars and determine which supporting initiatives to pursue. At McBride’s invitation, each school dean nominated two faculty members to serve on a Faculty Advisory Committee to provide input to developing and refining university strategic goals and initiatives. The committee is chaired by Jason Schneider, associate professor of medicine and president-elect of the University Senate and chair-elect of the Faculty Council. In addition, McBride established a strategic planning Advisory Committee representing multiple areas of the university to provide input and reaction to goals and initiatives that arise throughout the process, and to help communicate the plan’s progress to colleagues across the university. The committee is co-chaired by Ajay Nair, senior vice president and dean of Campus Life, and Lisa Tedesco, vice provost for academic affairs-graduate studies and dean of the Laney Graduate School. Nair and Tedesco also serve as liaisons to other executive leadership to ensure consistent communication and coordination. Strategic plan leaders currently are reaching out to key university stakeholders including student leaders, governance groups and the alumni board to gain insight and input on the goals and initiatives, and to keep the community updated on progress. 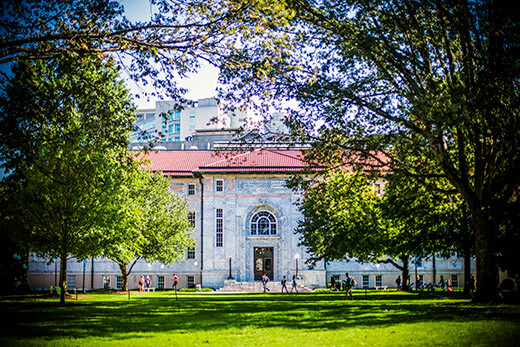 Emory’s Office of Business Practice Improvement/University Consulting is working with an external consulting firm to support the planning process. An update was presented to the Board of Trustees at its November meeting, with the delivery of a new strategic plan set for early next year.